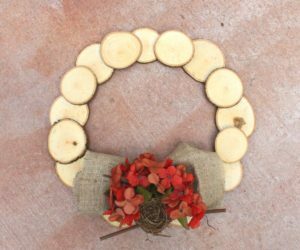 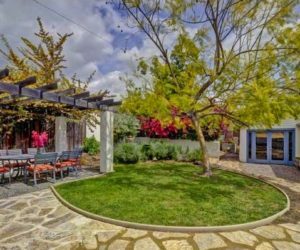 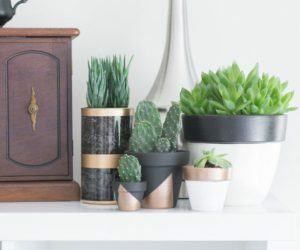 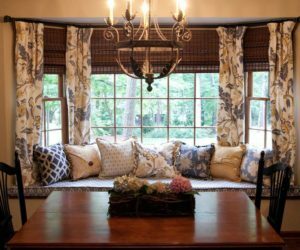 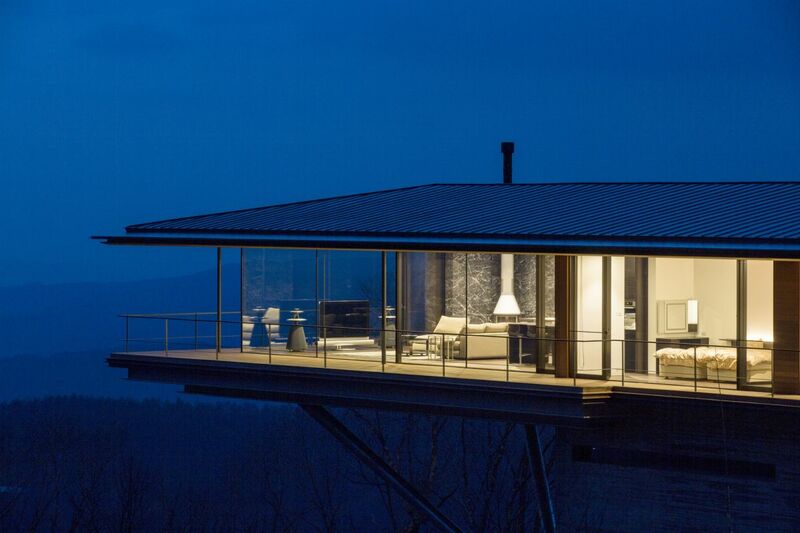 Finding the perfect spot to build one’s dream home can take years. 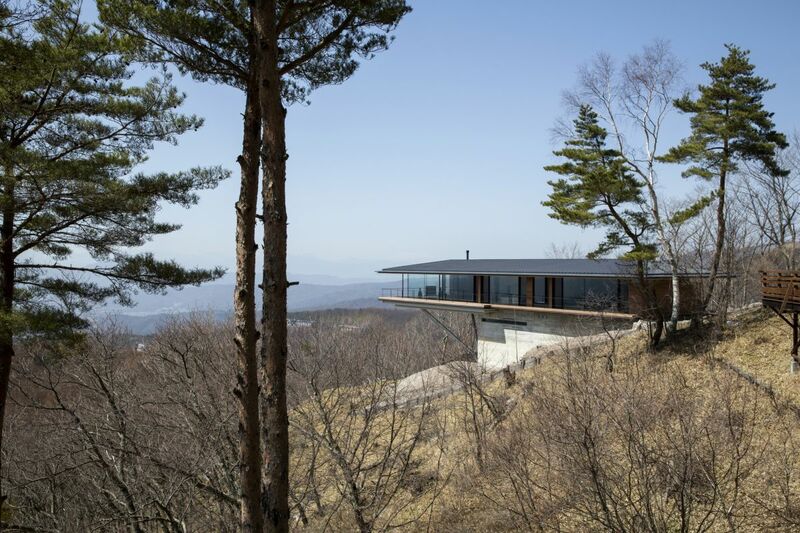 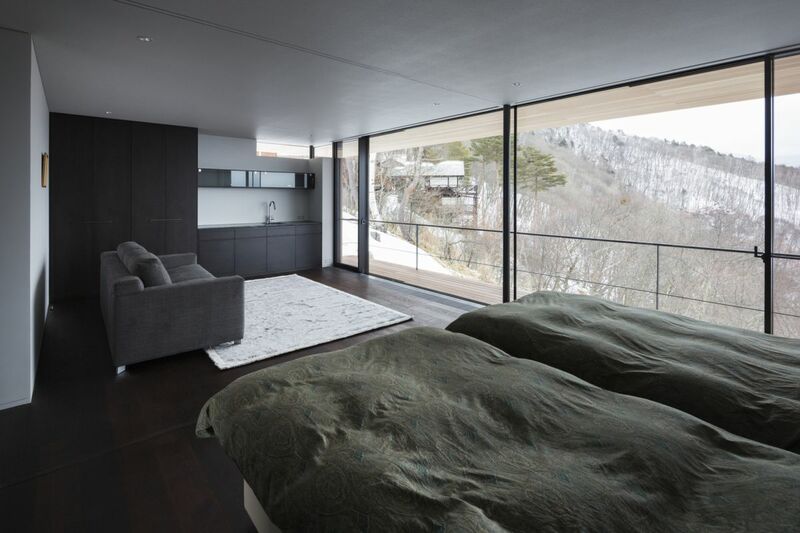 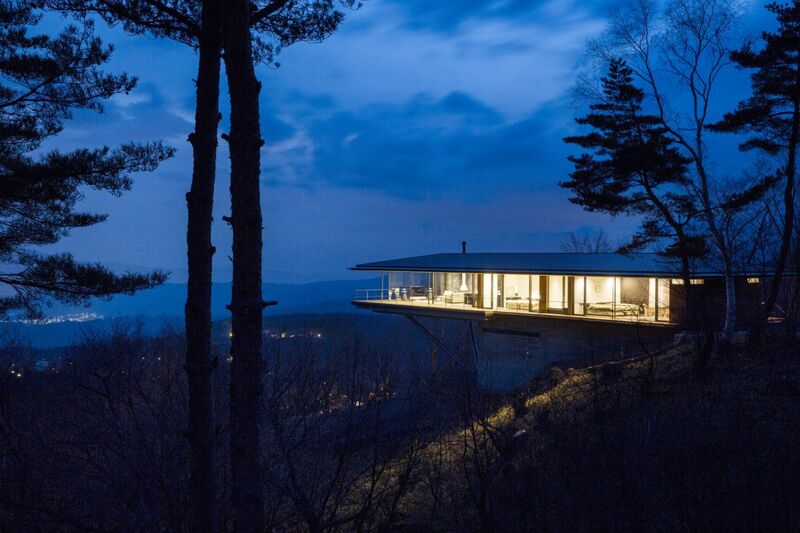 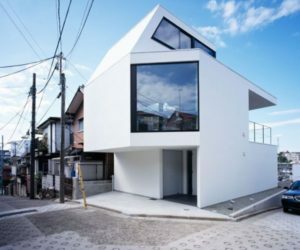 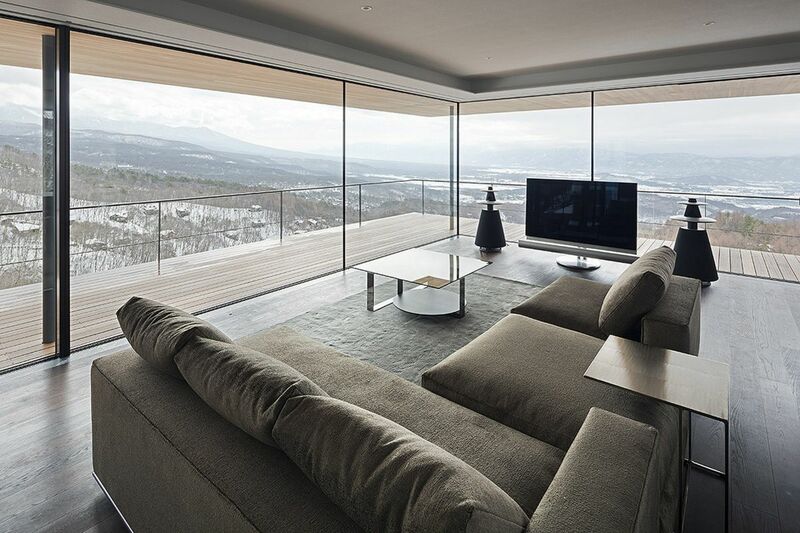 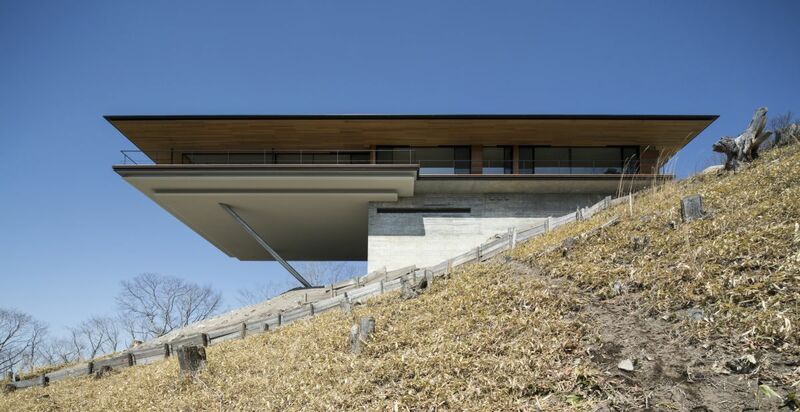 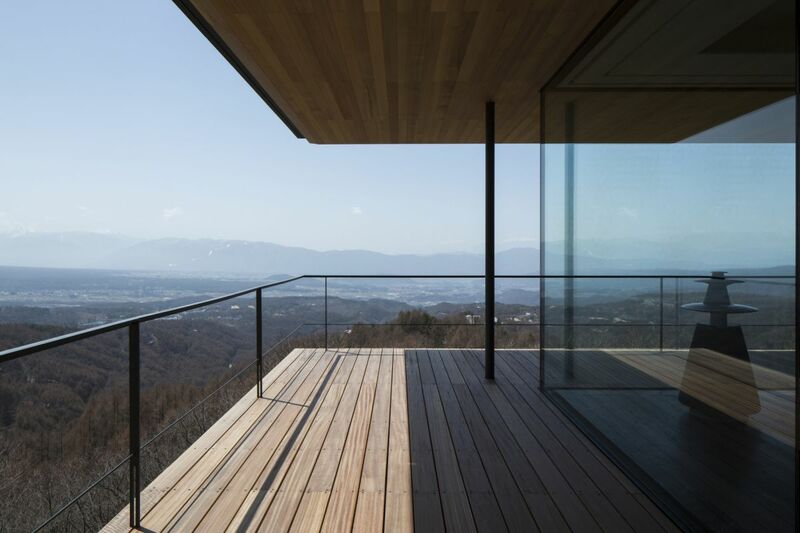 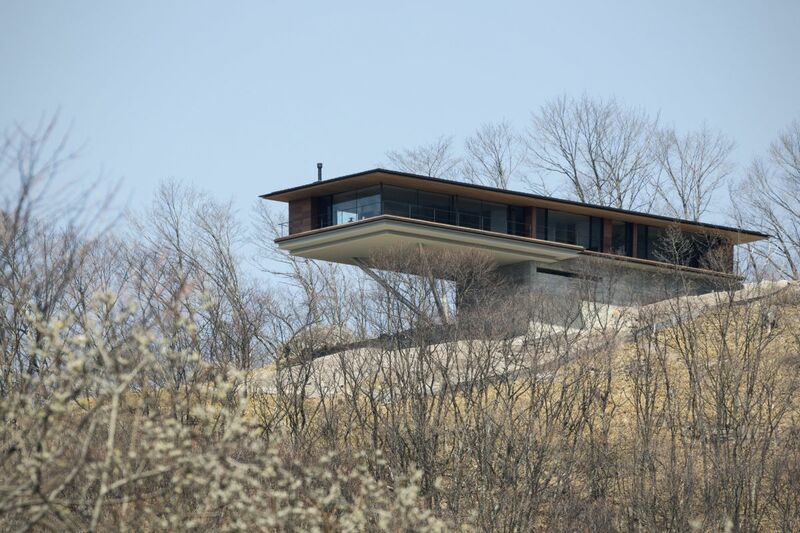 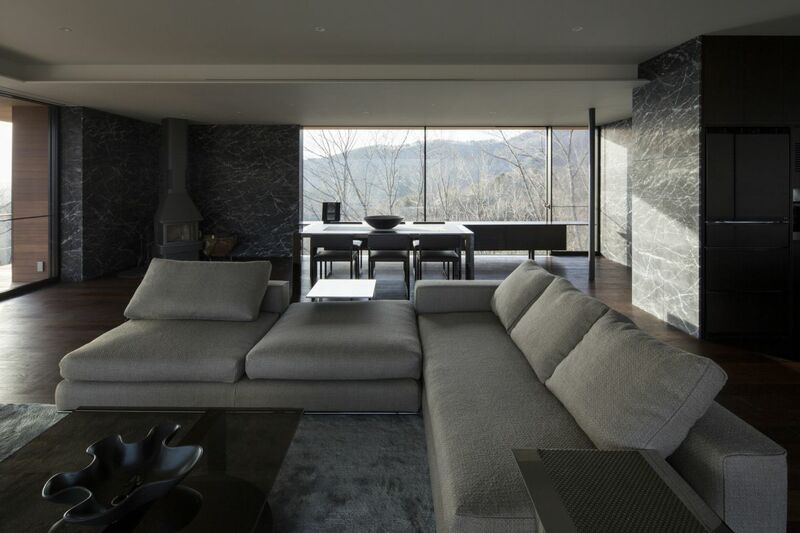 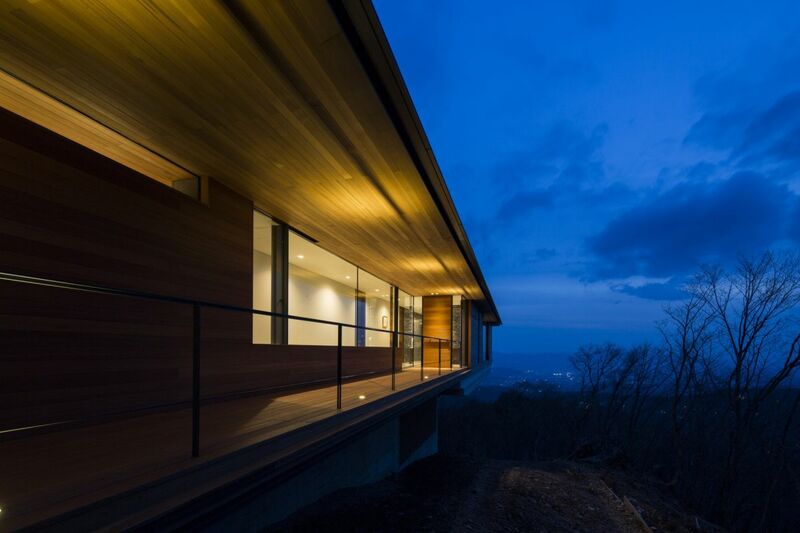 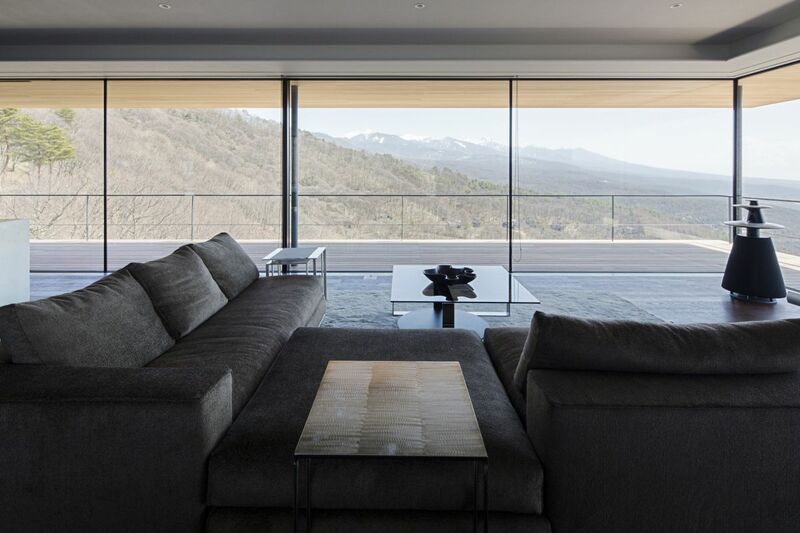 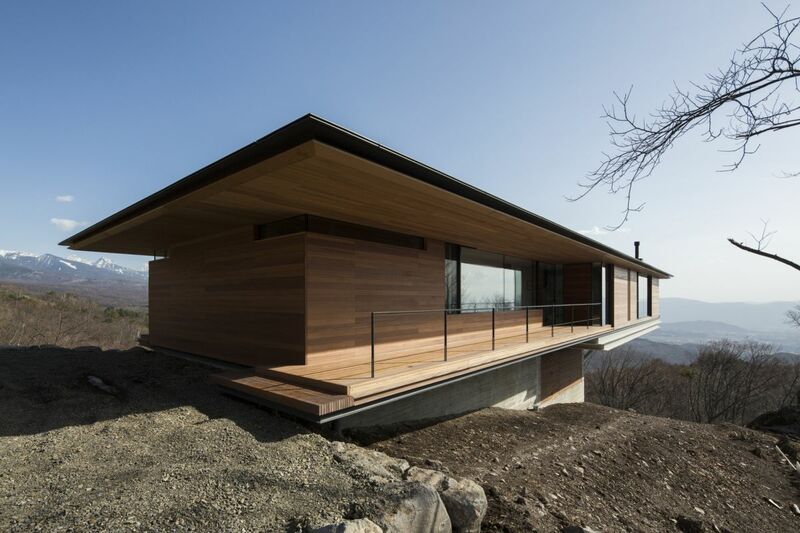 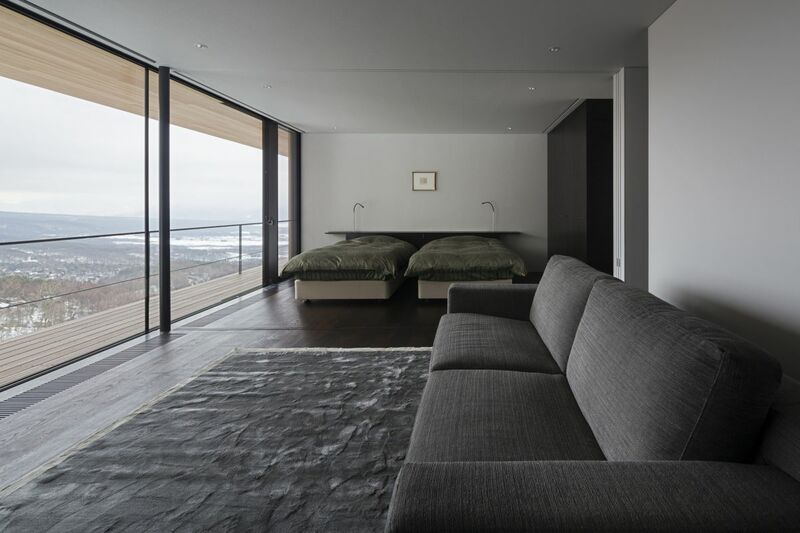 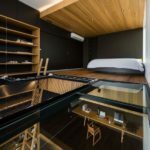 It certainly did for the owner of this extraordinary house which sits on a sloping site at the foot of the Yatsugatake Mountains in Nagano, Japan. 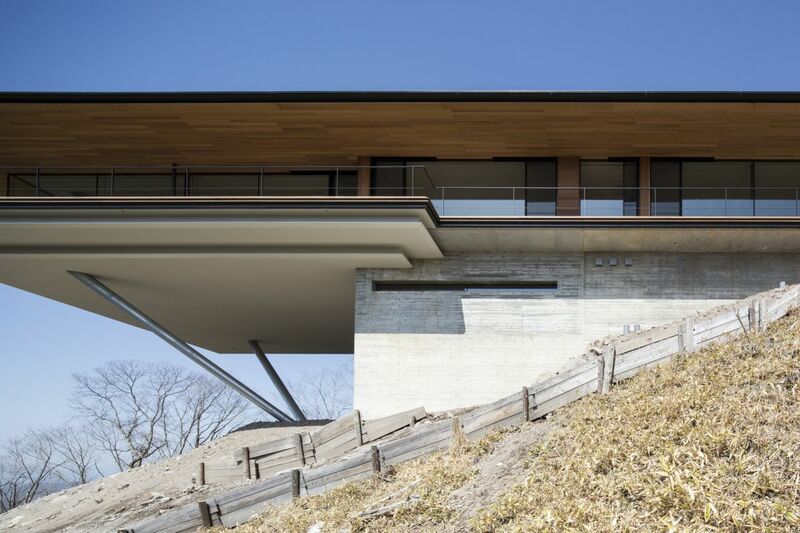 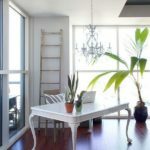 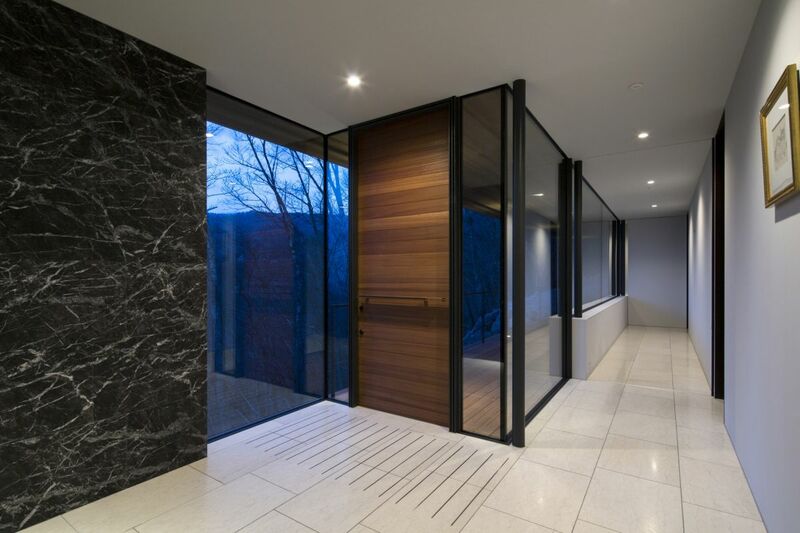 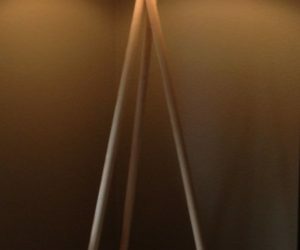 The house was designed and built by Kidosaki Architects Studio in 2012 and fully embraces its immediate and distant surroundings. 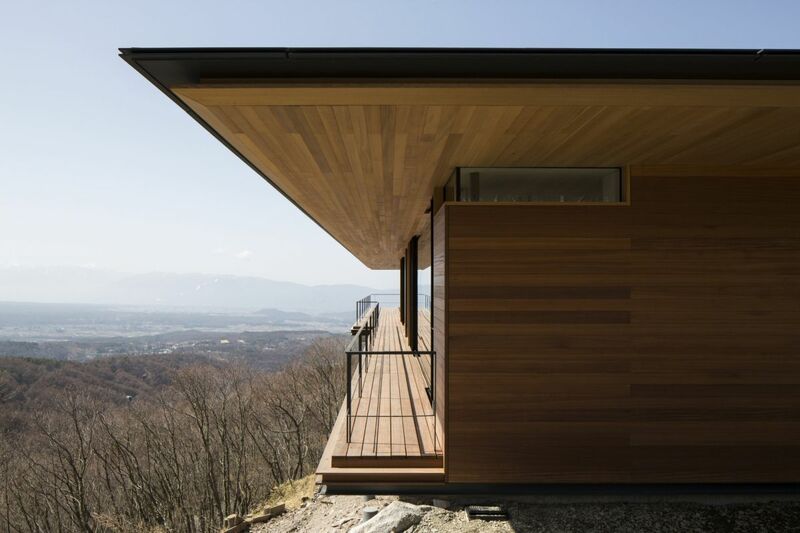 You can tell just by looking at it from a distance that the focus of the design was to make the most of the views but nothing can truly prepare you for just how spectacular the scenery is. 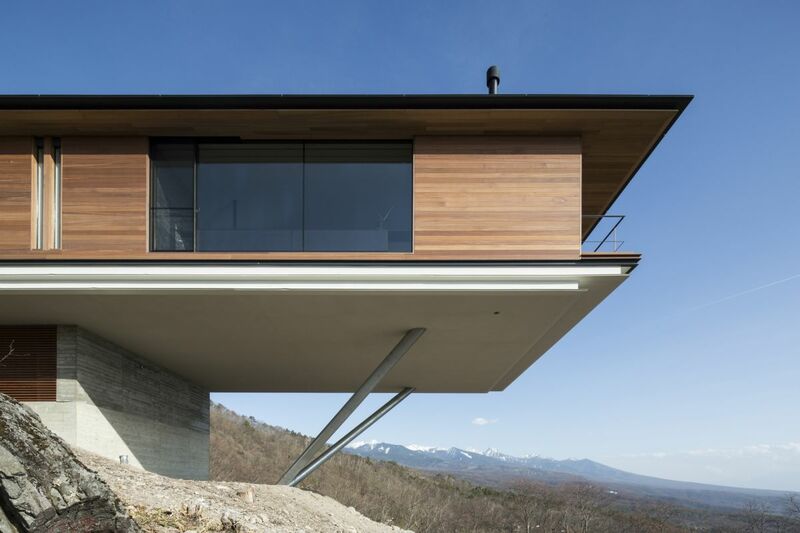 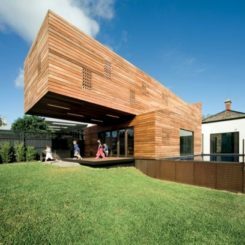 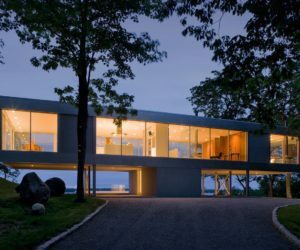 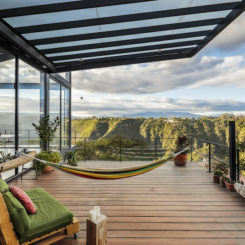 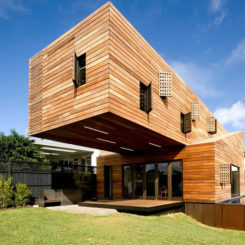 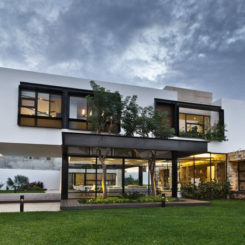 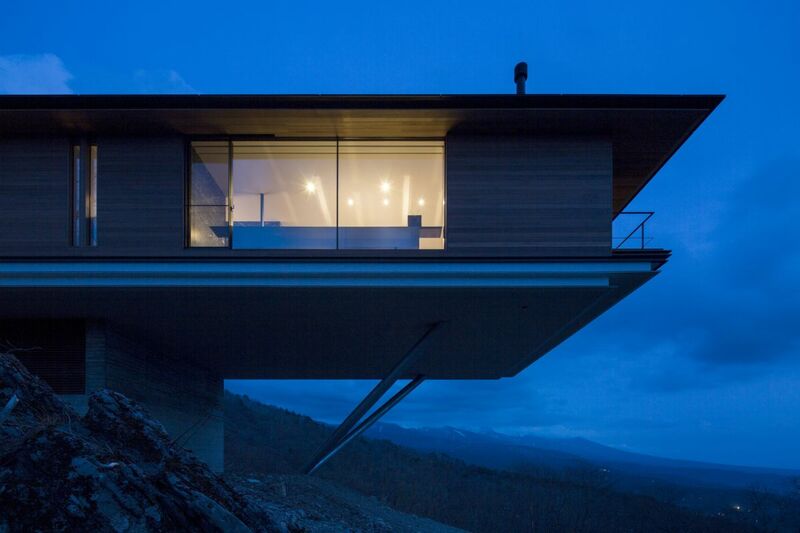 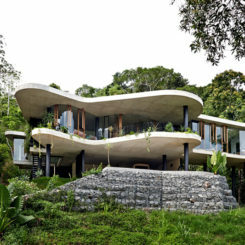 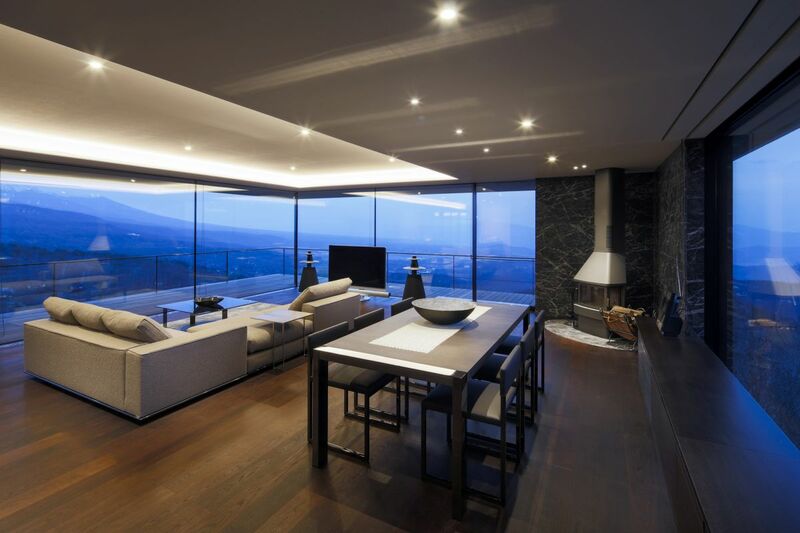 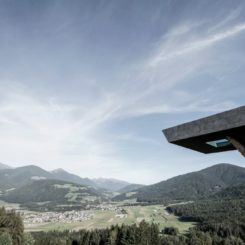 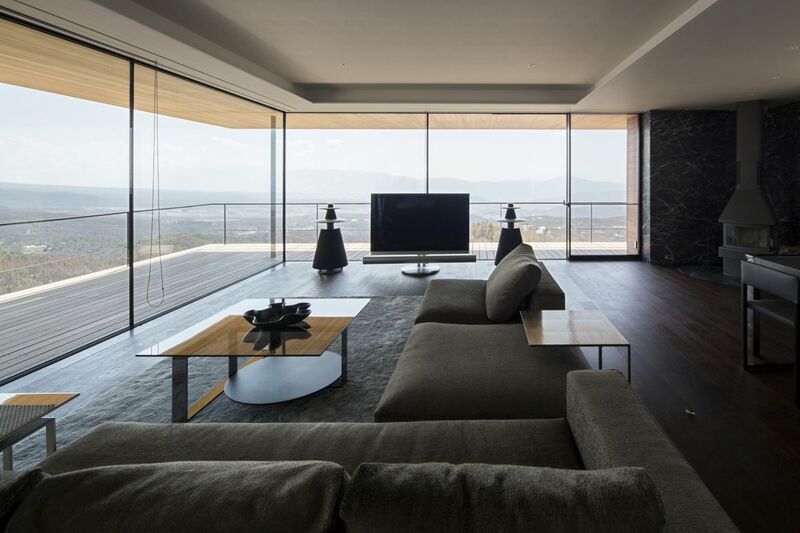 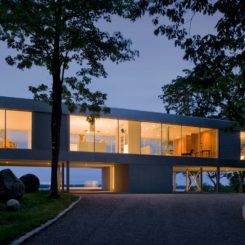 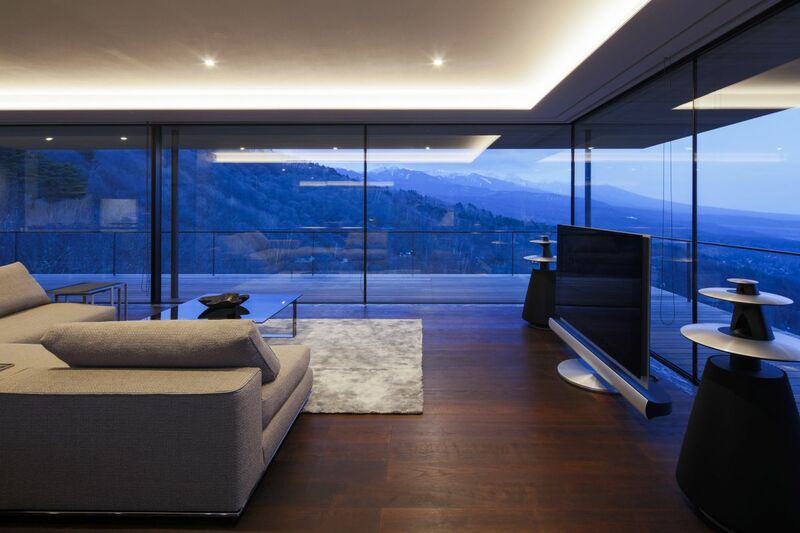 It’s obvious that the panoramic views dictated the whole design and structure of this amazing cantilevered house. 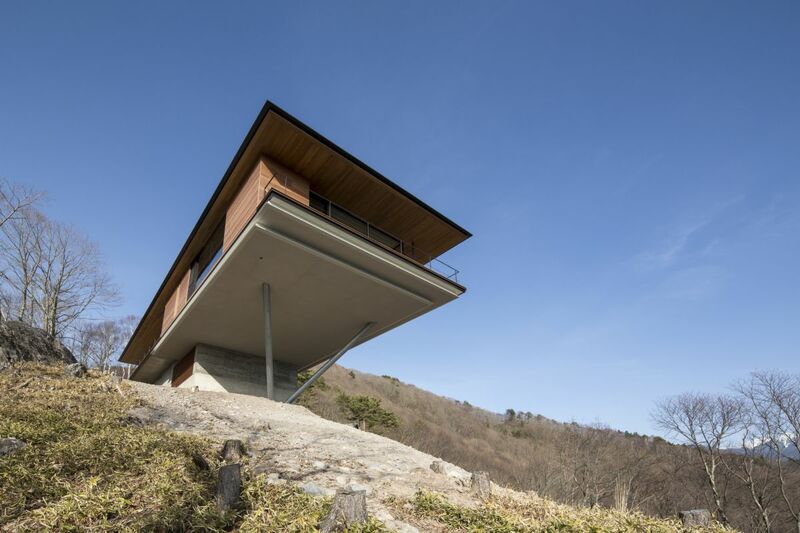 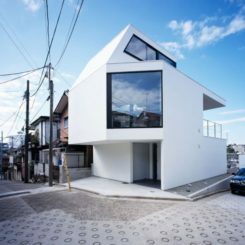 This 303 square meter structure is the result of the architects’ efforts to respond to two big challenges: the sloping site topography and the client’s desire to incorporate the scenery into the design. 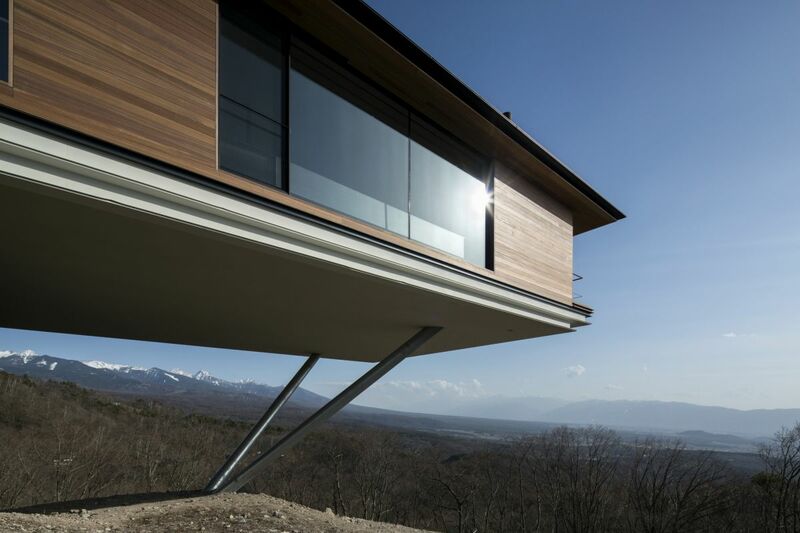 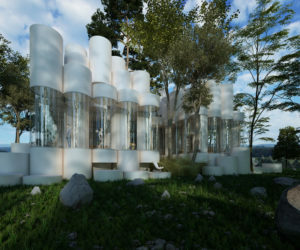 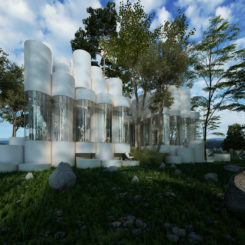 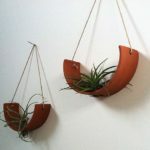 In order to deal with these special circumstances and requirements, the studio used two diagonal steel cylinders measuring 300 mm in diameter each to support half of the building and to allow it to basically float in mid air.